Clubhouse with bar, lounge, dining facilities and changing rooms. Fully stocked pro shop with club, trolley and buggy hire. Driving range also on site. One of the finest inland courses in the northern part of Scotland, this course is a test to low and high handicap players alike. 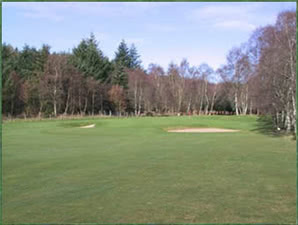 The course is immaculately kept and it set in the beauty of the panoramic views looking north over the city of Elgin, and to the south in the distance the Cairngorm Mountains.